A high level of uric acid is responsible for the condition of gout which can cause joint pain, stiffness and inflammation. 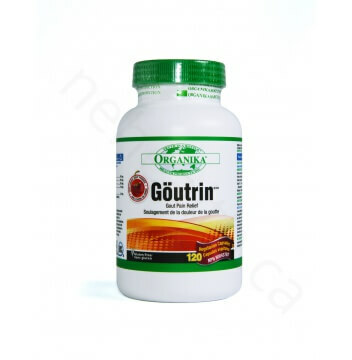 The ingredients found in Goutrin that include vitamin C and specific medicinal herbs provide strong antioxidant activity to keep pain and inflammation from gout minimized. 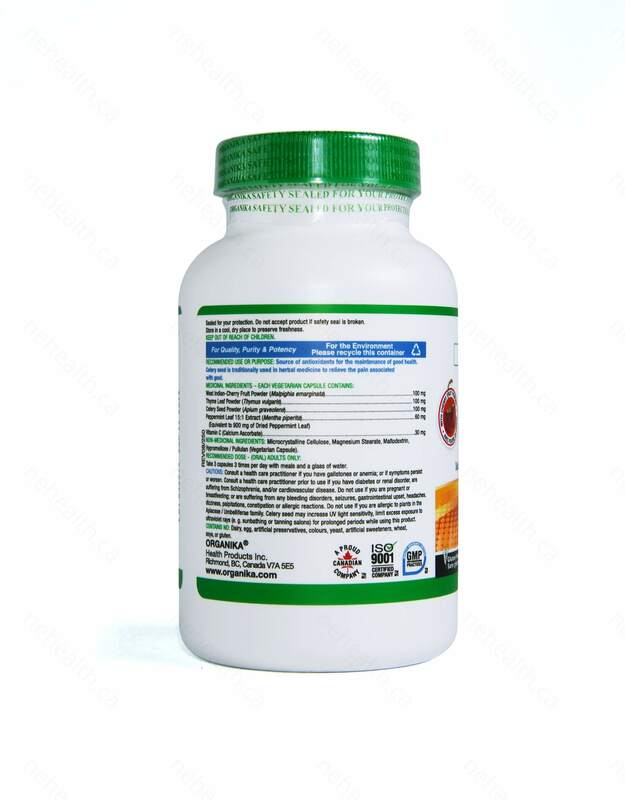 What are the key benefits of Organika Goutrin? One of the most powerful compounds produced by the body is uric acid. Abnormally high levels of uric acid can contribute to gout which is deposits of crystallized uric acid causing swelling, redness and extreme pain. This condition typically happens around the joints in the feet. 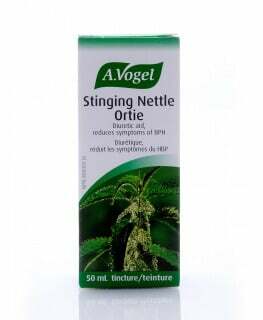 How does Organika’s Goutrin help Gout? Organika's Goutrin formula includes vitamin C as a source of antioxidants as research shows that vitamin C supplementation may lower serum uric acid. In addition, there is also celery, cherry, peppermint, and thyme which have also been known to help gout. 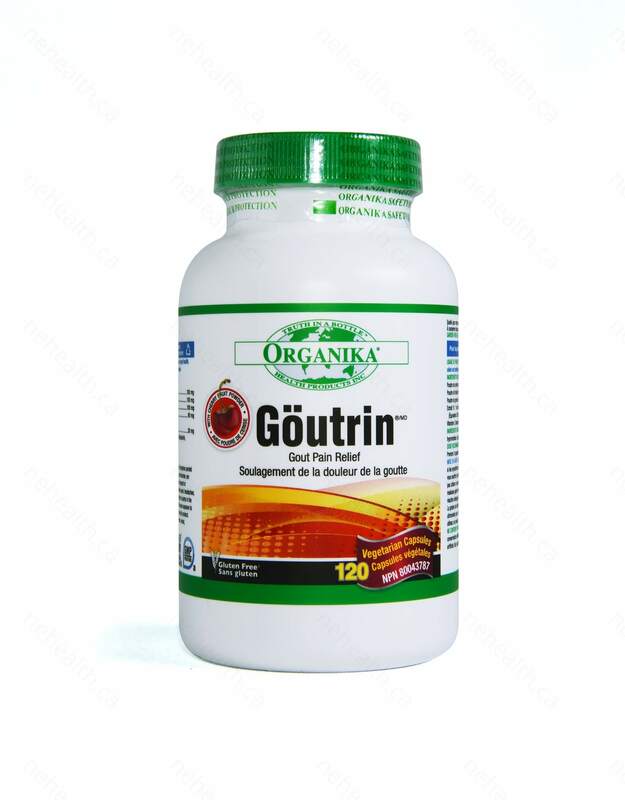 As a source of antioxidants from these herbs, Organika's Goutrin helps to maintain good health. Take 3 capsule 3 times per day with a meal and a glass of water. CAUTIONS: Consult a health care practitioner if you have gallstone, anemia and if symptoms persist or worsen. Consult a health care practitioner prior to use if you are taking Ephedra-containing supplements, and/or anticoagulant (e.g. warfarin) / antiplatelet drugs; are diabetic, suffering from Schizophrenia, and/or cardiovascular disease. Use with caution if you have hypertension, acute illness, have unstable hormonal cycles, and concomitant use of stimulants. 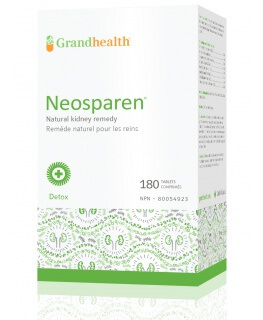 Do not use if you are pregnant or breastfeeding; prior to surgery; are suffering from any bleeding disorders, seizures, gastrointestinal upset, headaches, dizziness, palpitations, constipation, allergic reactions; or if you have hypoglycemia. Stephen P. Juraschek, Edgar R. Miller, Allan C. Gelber (2011). Effect of oral vitamin C supplementation on serum uric acid: A meta-analysis of randomized controlled trials. Arthritis Care Res (Hoboken). Balch, Phyllis A. Prescription for Nutritional Healing. 5th ed. New York: Avery, 2010. Print.